Lelli-Bot Crafts: Do you want to be in at the start of something big? Do you want to be in at the start of something big? Along with the launch of Lelli-Bot Crafts, we’re really excited to be announcing our very first design team call! We’re initially looking for 3 to 4 enthusiastic crafters, particularly card makers for this first call, that love creating beautifully executed projects. If you’re creative, passionate and love to use paper and card products then we’d love to hear from you. Previous experience on a DT isn’t necessary and the most important thing to us is that you have a real passion for paper crafting. We expect to work with you for an initial period of six months, this is likely to be extended if we are happy with our working relationship and will be reviewed on a six monthly basis. Along with the other DT members, we would like you to be able to maintain the Lelli-Bot Crafts blog and Facebook support group. We would ask that you actively promote Lelli-Bot Crafts on your blog, crafting forums and any other social media that you may be involved with, always linking back to the official Facebook page and website. We’d love to get your input on production ideas and we will create a private forum for DT members to discuss ideas. · Brand new, hot off the press, Lelli-Bot Crafts products sent to you for you to create projects. · Regular links to your blog through the Lelli-Bot Crafts website, blog and Facebook page. · A showcase for your creations on the Lelli-Bot Crafts website, marketing materials and social media channels. 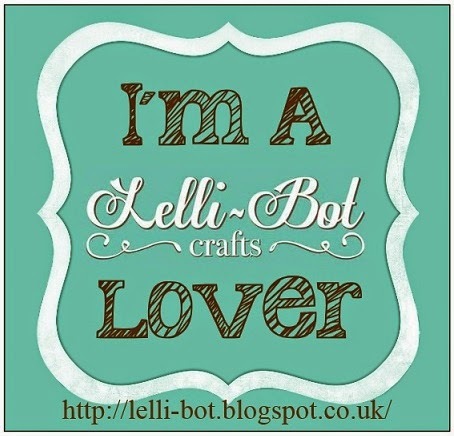 · A Lelli-Bot Crafts DT Member badge to display on your blog and/or website. · Opportunities to be part of the Lelli-Bot Crafts affiliate scheme where you will be able to earn commission – details to follow if you are successful. · Opportunities to contribute ideas and create designs for production. · We’re always on the lookout for new and innovative products and these may need ‘testing’ before going into production and as part of our design team, you may be asked to test these. · Opportunities to represent the company by attending craft / trade shows. · Opportunities to be part of the Lelli-Bot Crafts tuition channel on YouTube. · The opportunity to be at the start of something BIG! So, if this sounds like something you would be interested in then please send us the following information by Friday 7th March 2014, midnight to enquiries@lellibotcrafts.co.uk with ‘Design Team Call’ in the subject line. · Your name, address and email address. · Any experience of being on other Design Teams, although previous experience is not important! · Pictures of 2-3 of your best finished projects. Please note that this call is for UK designers only. The new DT members will be announced via the Lelli-Bot Crafts Facebook page by Friday 14th March 2014. Thank you & happy crafting.